This is the annual Kenpo Spirit Camp that was held at Mr. Duffy School. I'll post here since the powers that be decide to get rid of our folder. The camp itself was an excellent experience. There were belt exams on Friday evening, and beginner classes started bright and early 8am Saturday. During the Advanced class Saturday schedule we started with Mr. White who worked throught some painfully good quad drills and sparring entries. He also spoke of taking an honest inventory of ones skills and being in service to our students. It was an excellent session. He also brought several students that were humble and very helpful. Next was Mr. Trejo, who is always a treat. He followed up Mr. White by continuing with offensive entries from a freestyle position and gave us additional insight into fighting applications. The next session was with Mr. Salantri. He focused on Knife disarms. He showed us several responses to attacks and looked a couple of alternatives within the Kenpo knife techniques. It was another high energy session. The next day we started with Gary Stier, a Tai Chi master and learned a form called the 8 section pattern (without looking at my notes). We then continued our studies with the other instructors covering completely different information on day two. It was really an excellent camp and introduced us to a new high level instructor in Pat Salantri. 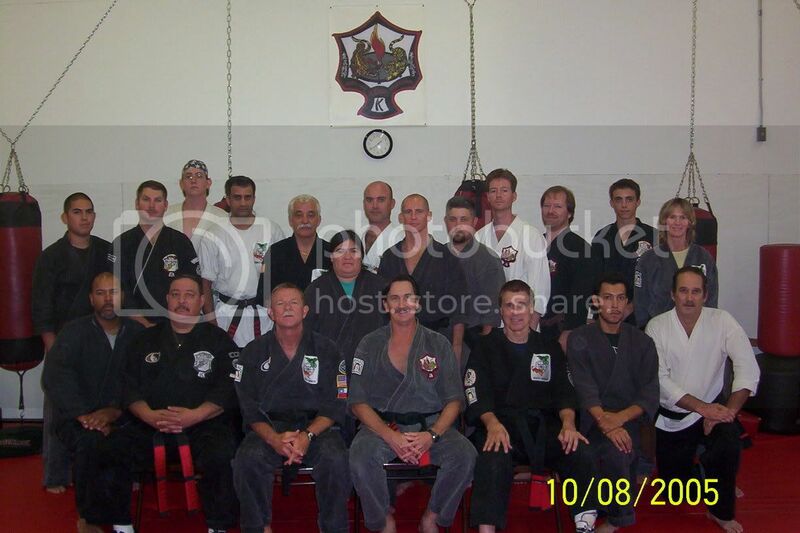 I'd encourage anyone intrested in some good solid Kenpo instruction to invite any of these gentlemen down. Thanks for sharing! If you have any other pictures feel free to post them in the photogallery, we all would love to see them. Great pic & recap, Jason! I hope you'll consider dubljay's suggestion & create your own photo gallery with more pix...(just click on the "photo gallery" button above & choose "create/edit my album"). Thanks for sharing this Jason...cool photo as well. Please disregard my venting. It is no longer an issue I care about pursing.